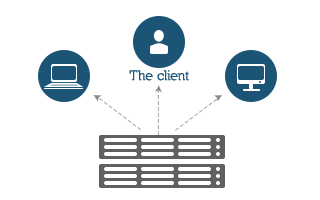 Multitenant software automation solution, designed to deliver advanced DNS management and hosting to service providers and businesses. The software helps you build a reliable DNS hosting infrastructure that can be managed in the browser. You can install the software on your infrastructure or use 4PSA Cloud services around the world. 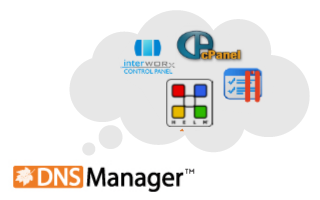 DNS Manager is designed for virtualization of cloud environments. Set up your DNS Manager on virtual machines in less than five minutes using the available Virtuozzo and VMware images. DNS Manager simplifies management of complex infrastructures through its DNS automation features that include DNS load balancing, data replication, and zone centralization. 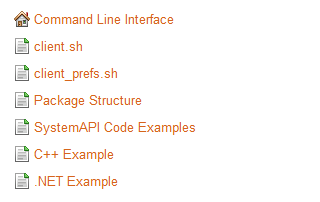 You can easily perform basic management tasks by using the web management interface or the Command Line Interface (CLI). 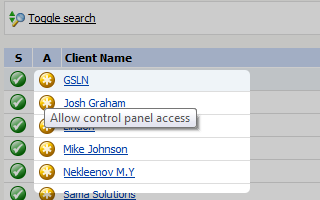 The CLI allows administrators to manage users and DNS assets. With DNS Manager's automation functions, multiple DNS servers can be deployed to handle the increasing DNS traffic in flexible cloud infrastructures. It will take you less than 10 minutes to deploy another server. You can start small, eliminate upfront costs and pay only for what you use by taking advantantage of the Cloud licensing terms. 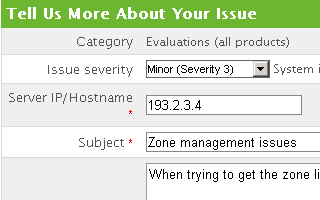 Every DNS Manager purchase comes with bundled support and emergency support plans. 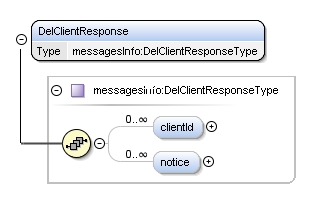 DNS Manager's multitenant, role-based design comes with two hierarchical management levels, administrator and client. You only need a single deployment to serve tens of thousands of customers. 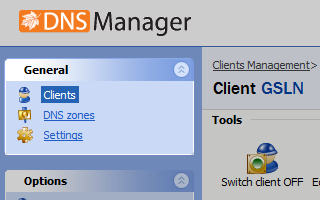 DNS Zone end-users can receive access to DNS Manager's intuitive web interface and easily modify their DNS assets in real-time, without assistance. 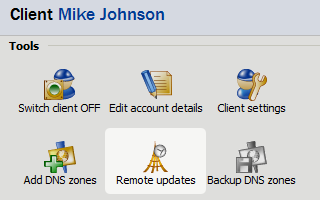 The software offers an extended number of advanced features that provide enhanced control including support for master/slave zones, per server or per client SOA records, advanced reverse DNS zone management, and much more. Accounts are fully separated, with individual rights and permissions that can be customized by the service provider. 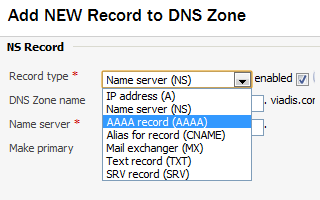 Administrators can also choose to enable an auditing feature that tracks and records all the DNS Zones changes for the selected client. Add new servers to an existing infrastructure in under 2 minutes. 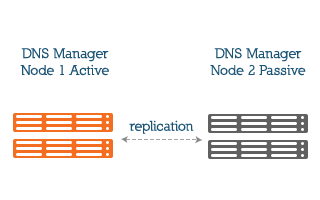 Data replication to redundant DNS servers is performed automatically through a non-DNS, web service based protocol. 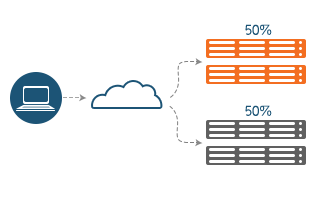 In order to increase redundancy and speed-up lookups, you can set up a geographically distributed infrastructure. 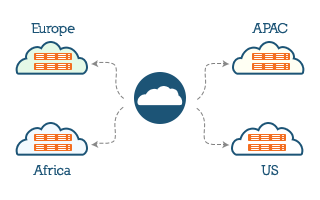 Centralize DNS zones from multiple hosting servers regardless of their number, location or hosting control panel they use. 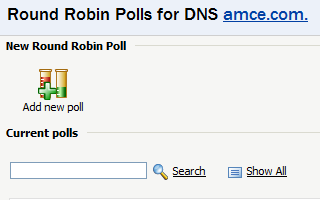 With round robin load balancing, DNS Manager monitors non-responsive servers and, based on their availability, it can disable/enable their DNS records from the round robin poll. When they are up and running again, the servers will available in the poll. DNS Manager offers full support for IPv6 for service providers and businesses who are preparing for the transition to the latest Internet protocol version. 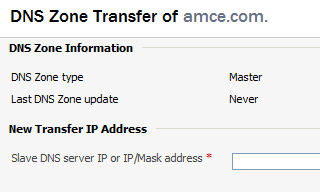 The software supports both IPv4 and IPv6 protocols. 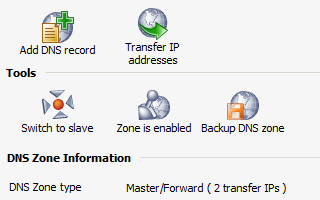 Centralize DNS zones from Plesk Panel, Cpanel, Ensim, Helm, Interworx or any other hosting control panel, including standard BIND-based DNS or Microsoft DNS. Through the easy to use and reliable SystemAPI, third party applications can interact with DNS Manager clients, create and manage DNS Zones and records, gather DNS information from remote servers and much more. 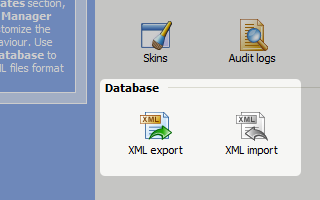 Administrators can easily export data for individual clients or even the entire database in .xml format. 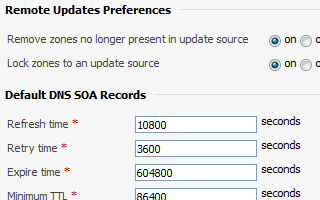 This feature can be used for compliance monitoring, backup and disaster recovery or for migration purposes. 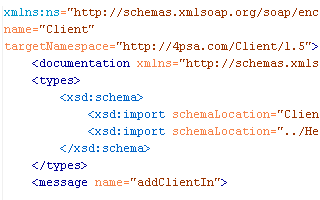 Software developers, as well as DNS Manager users can find all the necessary integration, management and setup guides in 4PSA Wiki and in the 4PSA Knowledge Base. Set up a High Availability DNS Manager configuration to minimize downtime caused by hardware failures or attacks, eliminate single points of failure, and ensure your end-users have access to services without disruption. 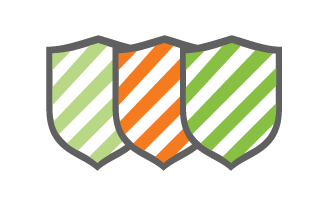 DNS Manager is protected by multiple security layers that include network filtering and robust administrative functions, which prevent the corruption of the DNS information. 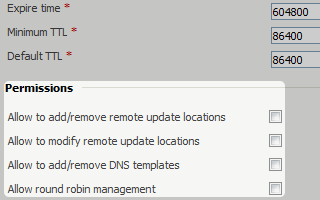 DNS Manager can gather and manage Zone information from remote servers and provide DNS redundancy during communication breakdowns, when the server is upgraded or power outages occur. 4PSA support stands for over sixteen years of experience in maintenance of mission critical applications. Every DNS Manager purchase comes with bundled support and emergency support plans are also available. 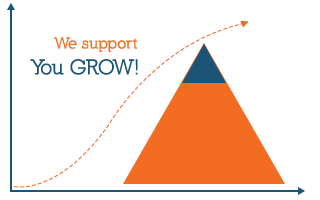 We provide support during the evaluation period as well.